Fly fishing gear especially fly rods can be expensive. No matter if you buy your first or just looking for a new one, used fly rods might seem appealing to you. They are more affordable than the brand new stuff, but it is worth knowing the up and downsides of buying used tackle. In the following article, I will outline a few things, that you should definitely take into consideration before making a purchase, regardless if you plan on getting a fancy used bamboo fly rod or just something cheap to get into this sport. To start with the short answer: Yes! Buying a used fly rod can definitely make sense for beginners as well as for seasoned fly fisherman. Sometimes buying the newest gear out there is not the best way to go and there is a good chance you do not need that crazy new technology that is, accordingly to the manufacturer, “a must-have in 2016”. You get the idea. A lot of this stuff is just marketing and making people think they miss out, if they do not buy the newest product that was just released. All companies want to make money and achieving this is only possible by selling more and more products. So letting them tell you when you have to buy new gear, might not be the best idea. This might sound strange first, but this aspect highly depends on what purpose you buy a used fly rod for. Let me elaborate. You want quality gear without spending too much money. Look at cars, buy a brand new BMW and you have to spend a big amount of money. The same car will cost 40% less a few years later, even if treated nicely. The BMW will still be a great car and should serve you well for a few more years, but you saved quite some money because you were able to renounce on owning a brand new product. You usually do not need those fancy sounding new features. 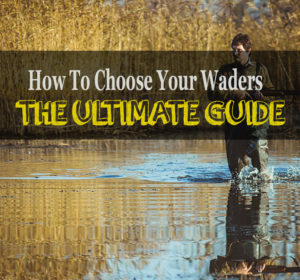 The other aspect could be, although that goes beyond this guide, buying a rod as a form of investment. Some used bamboo fly rods greatly increase in value over time. This article will focus on buying used fly rods with the purpose of using them. There is one major downside if you buy a used fly rod. In most cases, you won’t have any warranty if something turns out to be broken. Not only will the seller probably not care but also manufacturers usually state reselling their products removes any warranty given initially. That being said, with paying attention to what you buy, you should be able to avoid getting yourself a rod that breaks the moment you get a decent bite. How to make sure you are getting yourself decent new gear, will be explained in the following. As stated earlier, you can’t count on warranty if the used fly rod you just bought snaps after a week. Since this is the case, I recommend paying high attention to what you buy, no matter if it is online or offline. To make this process a little easier, you should check these two checklists prior to purchasing used fly rods. When buying online you obviously do not have the chance to get a look on the rod prior to buying it. Yes, this brings some concerns with it but you can avoid a bad surprise the moment you open the package if you ask for detailed pictures before hand. If the seller has nothing to hide, he will provide them, no questions asked. If you get them, use the visual aspects of the offline checklist further down. For used bamboo fly rods you should pay attention to the ferrules, if they were not cleaned regularly, the wood might be rotten in those areas which is almost unrecoverable. Yes, he probably used it to fly fish. But that is not what you want to know. The goal of this question is to reveal if the rod was used in saltwater. A lot of people do not care if their rod was made for saltwater fishing. The results can be drastically reduced longevity and metal parts might rust. Same as for cars, even a bigger accident can be covered if done correctly. The car looks like new, but that is only the outside. A used fly rod might have snapped at one point. If it was not repaired in the right way, a weak spot remains. If done correctly, there is no reason to not buy a fixed rod. Ask if the seller if he did it himself or sent it in to let the manufacturer do it properly. If the seller did not mention it in the first place, this can be a red flag and you should look for another offer. As mentioned earlier, in most cases you won’t have any warranty if you buy used fly rods. It is worth asking for a warranty card, that some fly rods come with, which might still work for you if something happens. A legit warranty card will reduce the risk of buying something that breaks after a few uses with no option of repairs or refunds. Why not? If the rod arrives at your house and you do not like it, why shouldn’t you be able to return it? Yes, that is uncommon for buying used tackle online, but even asking the question might reveal something. Is the seller strictly against it? Even when you offer to cover shipping costs? Does he even react unfriendly? Might be suspicious… but could also mean he has a few other people interested, that do not ask so many questions. If you have the luxury of finding the fly rod of your dreams offline, making sure it is actually as great as you think it is, will be way easier. Buying something used offline is definitely less risky as it lets you thoroughly test and inspect the product. Feel with your fingers along the rod to reveal covered damages. Something feels uneven? Have a closer look. Look closely: Is the color consistent? A fixed rod usually needs re-painting at some spots. Slightly different colored areas can indicate that. For used bamboo fly rods check if the wood is evenly shaped. If stored wet, bamboo tends to deform over time. Check the ferrules. Tiny cracks could turn out to be a weak spot when fighting fish. How does the cork look? Does it have dark spots? Does it have soft spots? Unevenly dark cork can be an indicator for rotten material. Try twisting the handle. Does it move? It should be rock hard attached to the rod with no movement possible. How does thread and lock nuts look? Rust? Can you move them easily? It is a good idea to bring a reel with you and see if you can attach it without problems. Are the guides straight? Assemble the rod and align them so you can see from bottom to top. Does it look like it’s supposed to? Apply pressure on the guides. Check all of them. They Should not move at all. Guides are a weak spot of used fly rods, they tend to loosen over time. Keep in mind, that this can be fixed easily. Check how they are attached to the rod. Any cracks in the coating? Something was re-taped or re-glued? You checked all of the above points and everything looks satisfying? The next step is testing it. Bring a reel with some line and attach it to the handle. Move to open space and try some casting. You don’t need a hook at the end and you also do not need a river for that. Everything works fine? Ask the seller to hold the rod for you. Take the line (that runs through all the guides) and give it some pulls. No need to be too gentle here. Some strong and fast pulls will reveal any weak spots and make sure a tough fight won’t break it. The seller might look horrified, but that’s what a used fly rod has to withstand without problems, so go ahead and test it thoroughly! There are quite a few options if you are looking for used fly rods, but your two general options are online and offline. Both have their pros and cons. Online you will find an almost overwhelming selection, way bigger than what you could find in your area. Offline on the other side you will have a way easier time judging the condition of the gear you might buy. Probably the best place to buy used fly rods online is Ebay. Tons of people offer their retired gear, which gives the possibility to score some great deals. You will find everything from used bamboo fly rods to the newest carbon fiber variations. A good seller’s rating also lets you know if you are buying something from someone that can be trusted. Another option is to look for the fly rod you want on Amazon. Often they also offer used versions if you click on “used” (who would have guessed), right below the product description. Since you probably won’t get the chance to chat with the seller first, they also provide a seller’s rating and an indicator of the condition the product comes in. Buyers can leave reviews and reading them will let you know if you can trust the offer. An extra bonus is the additional level of security. If the product turns out to be false advertised Amazon will assist you, if the seller does not cooperate and refuses a refund. Quite a lot possibilities here. Start with checking your local fishing store and ask for used fly rods. If they do not have any, they might be able to tell you where you could get them. Check thrift stores and garage sales. If you use the checklist above, you might be able to get a great deal since they often have no idea of how much worth some of their stuff is. Another really great method is keeping an eye on craigslist.org. Maybe you find sellers in your area. This could also be listed under “online” since often people are willing to ship stuff to you. Something that got far more popular over the last few years is buying and selling tackle on Facebook. I can guarantee there is a fishing group for your area and maybe even a “buy & sell” group exclusively for fishing gear. Although this starts online, it is common practice that you meet up with the seller and check the gear before purchasing. As you can see there are quite a few good reasons why you should have a look into used fly rods. If you search long enough, you will eventually find a great deal on gear, that might have cost a fortune some time ago. Take advantage of the fact that people only care about the newest stuff and completely ignore the hidden gems that you might find at a garage sale around the corner. What was the best deal you ever got on used fly fishing gear? Did you find the used bamboo fly rod of your dreams in a small thrift store instead of a huge retailer? Let us know in the comments! I recently got myself a beautiful bamboo fly rod from a store a few blocks away. Saw it every day when driving home from work and one day decided to go in there and see what they offer. Little did I know that they had a large selection of used fly rods or I would have had look earlier. I know a little about fly rods so I covered pretty much your checklist and although this one is more something to look at, I actually took it fishing a few times. Great deal! Good write up by the way, covers everything I could think of regarding this topic. Man, your guides are gold!